Success at Sarcda 2015: Our new range! We are happy to announce that we launched a brand new proudly South African range of products this year at Sarcda Trade Fair in Johannesburg. Please visit our website, www.elsje.co.za if you are curious to see more. Wholesale (retailers only) enquiries welcome, minimum order applies. 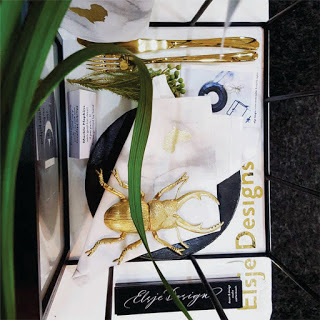 For more information please contact us on info@elsje.co.za or our studio in Stellenbosch 021 882 8010 . If you are interested in stocking our products, please get in touch. We will brag about you on our marketing channels and list your business on our stockist section on our website. If you are a business looking to order our items, we can help make things as easy as possible for you. Simply fill out the wholesale form with your name, telephone number, shop and a list of items and we shall get in touch. We offer this service to businesses for orders of R3 000 or more. Click on the link below and fill in our enquiry form for more information.